A huge majority of the FB comments I have seen (and mind you, it’s all about with whom you are “friends”), support gun regulation and don’t want people on the no-fly list to get them. Not one has advocated “taking away guns” and neither do I. But in the last 16 mass shootings, according to the NYT, all of the guns were obtained legally. That is morally offensive and that’s where your anger should be directed. Instead of complaining here, pick up the phone, as I have done, and tell your elected representatives what you think. They don’t bite. But they do know how to count. Do it now. Maybe you’re not sure what to say. Say this: “I am a registered voter in your boss’s district and I want her/him to introduce or support legislation to ensure that people on the no-fly list cannot purchase a firearm. If she/he does not, I will vote for someone who does. Thank you.” That’s all it takes. And it’s a great start. Here in NY, after the tragic Newtown, CT massacre, Governor Andrew Cuomo managed to get the SAFE act passed, which curtailed the sale of Assualt Rifles in the state. But it did not require people to surrender the ones they already had. Instead, they simply had to register them in a state-wide database. I don’t support confiscation of guns, so I thought that was a fair compomise. Would you care to guess how many names are in that database? Forty-Five Thousand. There are 45,000 assault rifles owned by New Yorkers. And 1.2 million are sold each year nationwide. These are guns that are designed solely for the purpose of killing many people quickly. 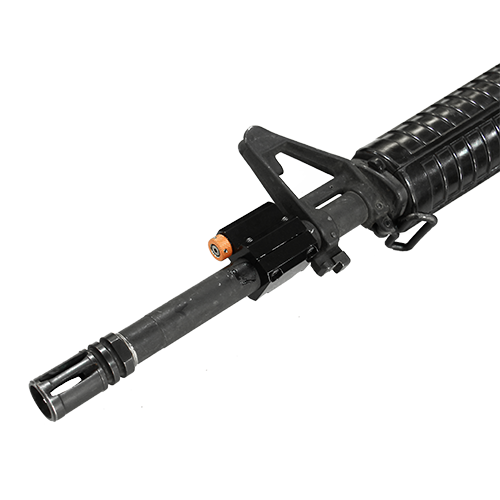 They were designed for the military, although “civilian” versions were quickly re-designed to subvert the erstwhile Assualt Weapons ban that expired a few years ago. Now, here’s the point: while gun shops and gun dealers at gun shows are required by law to perform background checks, under federal law there is no such requirement for private two-party sales. (There is in the SAFE Act.) If I have an AR-15 and you are looking for one, I can sell it to you with no background check. Sounds a little esoteric but actually, with 45,000 of these rifles in NY State, what is the likelihood that a sale will be made from a responsible gun owner to the next serial killer in nearby Pennsylvania? A rhetorical question? I think not. And finally, why did Congress in 2005 pass legislation that protects gun manufacturers from liability when the products they make and market (such as assault rifles…not a legitimate consumer product) are used by consumers to create havoc? Auto manufacturers, knife manufacturers, lawn mower manufacturers have no such protection, and all have been successfully sued for negligence. Why not the gun industry? Because of the NRA, of which I was once a proud member when I was a .22 calibre target shooter 45 years ago. Now I can’t stand their initals. Sorry for the rant. If you haven’t had the chance to call your legislators about keeping people on the no-fly list from buying guns, you can throw some of this in. I don’t want people who hunt or target shoot or want to have some protection in their homes to be unable to do that. I have a shotgun and a hunting rifle, though I have not used either in decades. I just don’t want the mentally ill or morally screwed up to have them. Do you? Amen, Chris! Well said, as always. I’m glad New York is ahead of the curve on this, but I didn’t know about the 45,000 assault rifles in civilian hands in this state. Now I’m giving my legislators another call. Perhaps I’ll put them on speed dial. I agree totally with your post. It is way past time that we restore sense and sanity to our legislative process.